- a nutrient-rich food considered to be especially beneficial for health and well-being. Superfoods are foods, mostly plant-based but also some fish and dairy — thought to be nutritionally dense and thus good for one's health. Blueberries, salmon, kale and acai are just a few examples of foods that have garnered the "superfood" label. The term "superfood" has become something of a marketing buzzword in recent years, and many processed food products will boast such ingredients. But don't be fooled. Processing tends to denature nutrients, so what you end up with is typically a far inferior version compared to the real thing. Your best bet is to simply stick with the originals, meaning whole organic foods. Organic Pastured Eggs, Preferably Raw are a relatively inexpensive and amazing source of high-quality nutrients that many people are deficient in, especially high-quality protein and fat. Kale is an inexpensive cruciferous vegetable that can help ease lung congestion, and is beneficial to your stomach, liver, and immune system. It's an excellent source of multiple vitamins and other nutrients. Raw Grass-Fed Organic Kefir or Yoghurt Adding kefir or yoghurt made from grass-fed raw milk is an excellent way to boost your immunity and increase your daily energy. 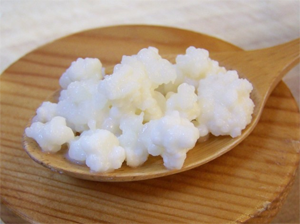 Kefir is a traditionally fermented food that is chockfull of healthful bacteria (probiotics). In ancient times, food preservation was accomplished through lacto-fermentation, a process that adds a host of beneficial micro-organisms to food. This makes them easier to digest, and increases the healthy flora in your intestinal tract. Raw Organic Almonds Just be sure you avoid making the mistake of consuming nuts that are heated commercially as the fats they contain are perishable and will be damaged when they go through this type of processing. A new 21st century concern is pasteurization. For the last four years, nearly all commercial vendors of almonds are required to pasteurize them before sale. Wild Alaskan Salmon Dr. Mercola says he have vigilantly warned against eating fish, as virtually all fish these days contains dangerously high levels of mercury and other toxic contaminants. If it wasn't for the health risks posed by this contamination, fish in general would be among my absolute most recommended foods for their outstanding nutritional benefits, including high levels of omega-3 with DHA and EPA, which most people are desperately lacking in their diets. However, there are still some exceptions, and wild Alaskan salmon is one of them, as long as its purity can be verified. This was so important to me personally; he did loads of research to find a trusted source that passed third-party testing by an independent lab. Avocado Avocados are an excellent source of healthful raw fat, which most people are seriously deficient in. They also provide close to 20 essential health-boosting nutrients, including:Fiber, Potassium (more than twice the amount found in a banana), Vitamin E, B-vitamins and Folic acid. In addition, avocados enable your body to more efficiently absorb fat-soluble nutrients, such as alpha- and beta-carotene and lutein, in other foods eaten in conjunction. 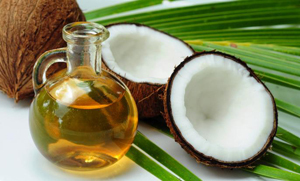 Organic Coconut Oil Half of the fat content in coconut oil is lauric acid—a fat rarely found in nature—that could easily qualify as a "miracle" ingredient because of its unique health promoting properties. Your body converts lauric acid into monolaurin, which has anti-viral, anti-bacterial, and anti-protozoa properties. Whey Protein Concentrate Whey protein, a byproduct of milk and cheese, was promoted for its health benefits as early as 420 B.C. These days, evidence continues to mount in favor of whey, which is often referred to as the gold standard of protein. Raw Organic Grass-Fed Butter Butter made from raw organic grass-fed milk can be a very healthy part of your diet. It's an excellent source of high-quality nutrients, including: Vitamins, healthful fats, Vitamins, such as vitamin A, needed for a wide range of functions, from maintaining good vision to keeping the endocrine system in top shape, and all the other fat-soluble vitamins (D, E and K2), which are often lacking in the modern industrial diet. Trace minerals, including manganese, chromium, zinc, copper, and selenium (a powerful antioxidant). Butter provides more selenium per gram than wheat germ or herring. It's also an excellent source of iodine. Healthful fats, including short- and medium-chain fats, which support immune function, boost metabolism, and have anti-microbial properties, as well as the perfect balance of omega-3 and omega-6 fats, and arachidonic acid, which is important for brain function, skin health, and prostaglandin balance. Conjugated Linoleic Acid (CLA), a compound that gives excellent protection against cancer and also helps your body build muscle rather than store fat. Glycospingolipids, Trace minerals, Conjugated Linoleic Acid (CLA), Wulzen Factor. Green Vegetable Juice Juicing your vegetables is a great way to make sure you're getting sufficient amounts of veggies in your diet. Raw vegetable juice teems with valuable and sensitive micronutrients that become damaged or destroyed when the juice is pasteurized, so avoid the store-bought versions and juice your own instead. 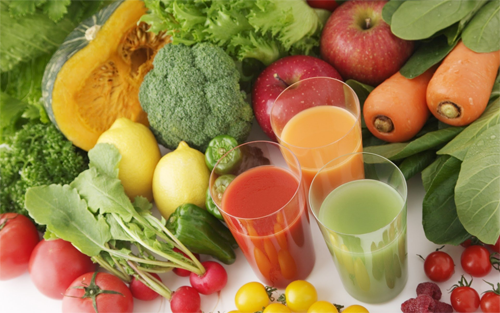 Raw juice can be likened to a "living broth." It is almost like receiving an intravenous infusion of vitamins, minerals, and enzymes that go straight into your system without having to be broken down.